Medium hairstyles are considered the perfect length by many hairstylists. Shoulder-length hair flatters almost every face shape, can be styled to flatter any body type, and ages well. In fact, most stylists will recommend shoulder-length, medium hair to women over the age of 21 when longer hair just begins to look ragged and dated. Medium hairstyles are ideal for most women, especially those that like the feel of longer hair. A shoulder-length haircut is still long enough to wear up for special occasions, wear down casually, and be worn half-way whenever the situation calls for it. It can be styled easily because it has both length lacked by shorter hair and manageability that longer hair lacks. The sheer versatility of this hairstyle makes it a stylists dream and a busy woman’s style salvation. The bob is, perhaps, the greatest offering of medium hairstyles. 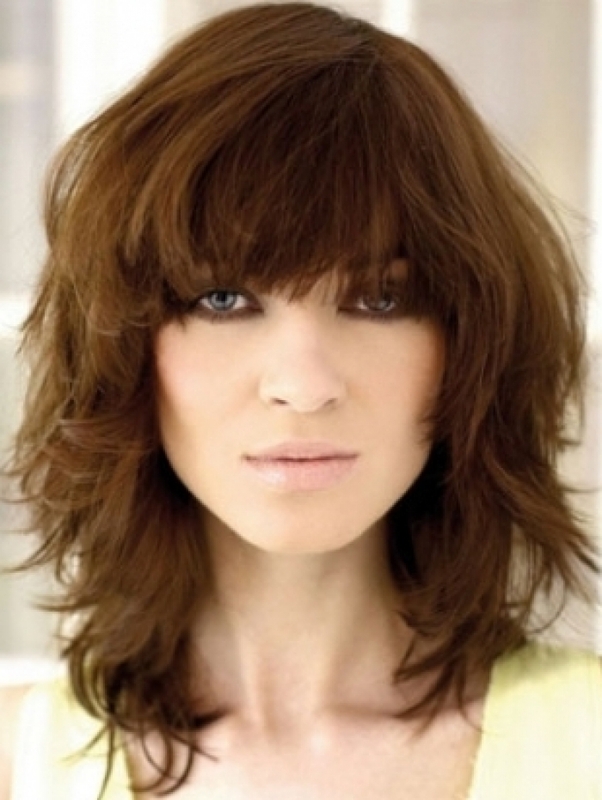 One of the most versatile cuts, it’s practically impossible not to find a bob that will look fantastic on you. No longer are you limited to the bob of the Forties, Fifties and Sixties, with everything from asymmetrical, graded and fringed, you are sure to find a bob style that suits both your facial structure, shape and body shape perfectly. And it will be easy to style at home too. Medium length bobs suit any type of hair; even curly hair! Medium-length hairstyles are the best hairstyles for women of more mature age. Anyone over 21 can pull off a medium length hairstyle and look good doing it; younger women can look good too!